The Spa Wellness has been setting the standards for relaxation and rejuvenation since 1996. Different types of massages and wellness treatments await The Spa Wellness’ exclusive clientele. Dermatological services are given by professional doctors excelling in their field of practice. Offering a challenging yet feel-good workout, barre3 classes combine the benefits of yoga, pilates, and ballet barre. 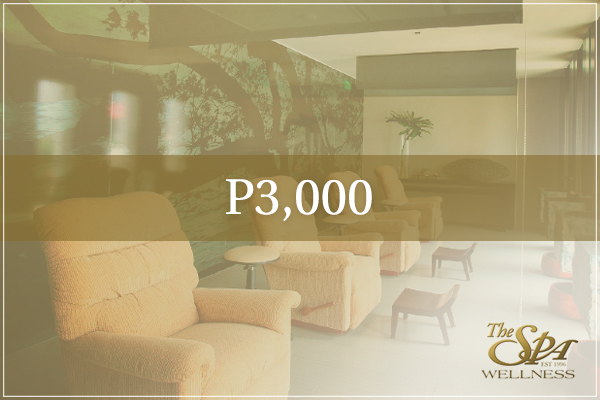 Unwind at any of their strategically-located branches all appointed with luxurious amenities such as steams, saunas, and jacuzzis. Varying from deluxe common rooms to executive and premium rooms and villas, they are tastefully fitted and can suit any level of privacy and pampering. 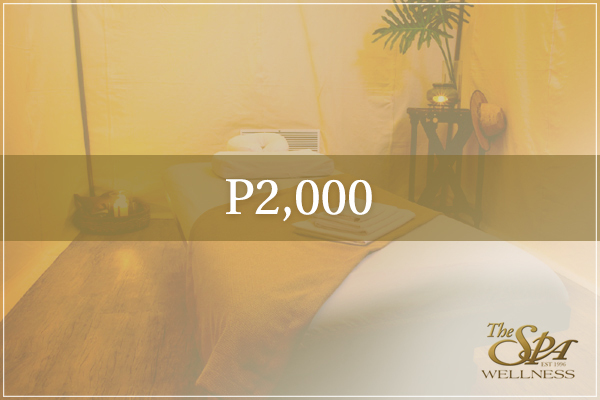 Make the people important to your life feel special by treating them to this prestigious spa that offers only excellence in their amenities and services. The eGift Card code will be honored at The Spa, Barre3, and Skin Dermatology and Laser Center (SKIN). The Spa - single spa services and add-on services (except services on promos, in-house packages, Wellness Treatments such as Bowen and Acupuncture, purchase of items such as Retail, Wellness Gift Cards, Ultimate Gift Cards, Memberships, Prepaid Cards, Wellness Gift Cards and Gift Certificates. The amount of each eGift Card must be applied to one brand at once (e.g. 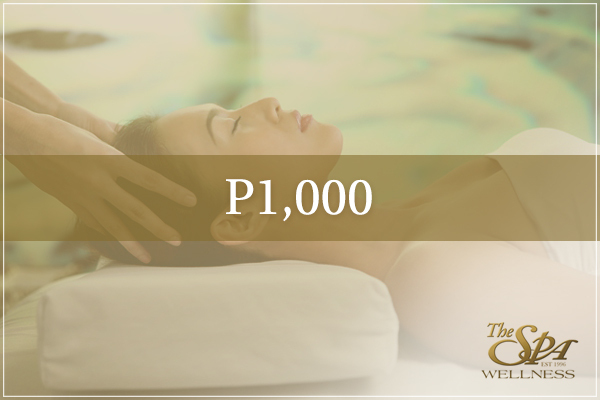 the entire P1000 eGift Card must be used for either The Spa, Barre3 or SKIN only, within a single visit). The eGift Card is transferrable, provided a valid and activated eGift Card code is presented at the store. The staff may also ask for a valid ID to be photocopied for record keeping purposes. The eGift Card may be used together with our in-house gift certificate, Wellness Gift Card, Ultimate Gift Card and Prepaid Card. Recipients are advised to make a reservation and contact their preferred branch at least 1-2 days prior to their visit.